Target regularly sells Cottonelle Fresh Care Flushable Cloths, 42 ct for $1.99. 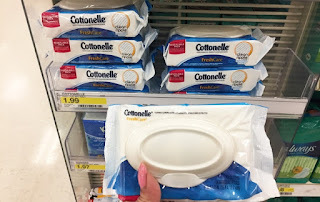 We have a Cottonelle Flushable Cleansing Cloths coupon insert available to stack with this deal. Add to that a Target cartwheel that will make the final price only $0.59!